Website maintenance can be a real headache. Not only do you have to rely on a web developer for timely changes, which may not be very timely at all, but even the simplest changes can incur charges. Worse, some business owners are paying monthly maintenance fees for ongoing web updates even if the service is never utilized. These issues can be bypassed easily if you use self edit web sites to manage your business presence online. These self edit websites are very user friendly and the entail a content management system that enables you to edit web pages as easily as typing and saving changes made. 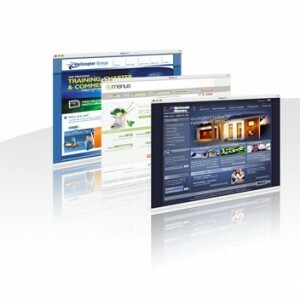 BCNI can help you create powerful web sites with a professional design that can be edited and updated by you! BCNI is providing self edit websites services in Oakville, Burlington and Mississauga and over Canada via remote assistance. We create fully self edit web pages that can be easily updated and changed at any time so you have total control. Self edit web sites allow you to edit any part of the website – from altering text to adding images, creating new pages and adding links. Now almost every site offers a self edit option for it’s web pages. Which means you can change anything, be it information, contact details, or the Company’s profile all by yourself, without having to hire or wait for your website designer to change the desired information for you. Self edit option allows you to change the material on your website without having to rely on someone else. Now you can change the content of your website anytime you feel like and from anywhere in the world. Maybe you already have a great website and it is working well for your company, however, you want to change your company profile and contact details. If you have self edit websites, you no longer have to wait for your website designer to update these web pages, because you can edit your web pages yourself from any computer in the world. In this difficult economic climate, every penny counts. You need to make some cost cuts and that’s why a self edit web site might be the best choice for your business, as you can easily handle the web site changes. BCNI can help you can have the professional layout design while still being able to edit the content. This way your website will always be up-to-date and still look like it was designed professionally. Self edit websites allow to add new pages, editing pages,r even adding images or Word Documents and PDF files is quick and easy. Better yet, there are no additional costs to having your website created in an editable format.